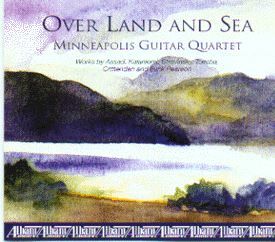 Over Land and Sea consists of pieces inspired by musical traditions from around the world. For example, Estampas by Federico Moreno Torroba is influenced by folk traditions of Spain, and my piece, A Scottish Fantasy, is based on several Scottish folk melodies. 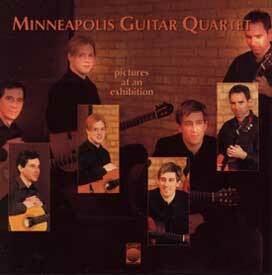 Pictures at an Exhibition features well-known works by Modest Mussorgsky, Isaac Albeniz, and Astor Piazzolla. 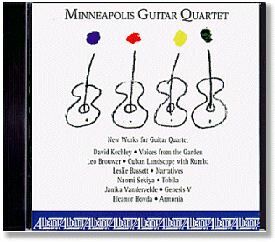 Through Joe Hagedorn's faithful and effective transcriptions these works speak very convincingly through the medium of guitar quartet.